The biggest challenge most lawyers face when trying to leave a law firm is figuring out how to go about choosing their next career goal. Should they focus on what would allow them to make the most money? This often points to in-house positions or management cons ulting. Should they focus on what will be the easiest transition, and provide an immediately easier lifestyle? The first thing most lawyers think about in that respect is working for the government in some capacity. Should they look for something geographically close to home? Something that doesn’t require much thought? Something that they know many other lawyers have gone into before them? Should they focus on a particular area of interest, and try to get a job in that field? Trying to figure out which factor should be dominant in their job search can, all by itself, cause the kind of analysis paralysis that would send anyone into a tailspin. My approach to changing careers focuses on something entirely different: figuring out the confluence of (1) what you are good at and (2) what you enjoy being good at. I believe that career satisfaction comes from doing what you love being good at, for and around people who value your unique skills. It’s not that hard to know what you are good at, but your talents are not the crux of the issue. What matters most is what you like being good at. What gives you a sense of flow, of time stopping? What feels motivating and enjoyable at the same time? For many lawyers, figuring out what they like being good at is far more difficult than it first appears because it requires understanding when they are genuinely happy. Being a successful law student and/or a successful lawyer often involves putting your personal happiness on the back burner. Many people, including me, grew up thinking that happiness was something you had, if you had it at all, only before and after work. As I often heard growing up, “That’s why they call it work!” When you know what you like being good at, whether or not it is something you have been paid to do, you have the most important piece of information you will need for your career transition. The process doesn’t end there, of course. I encourage my clients to take a creative look at where they might use those skills outside of a law firm, and then I help them translate the experiences and skills they already have into a format that non-legal employers can not only understand but appreciate. The world of career possibilities for lawyers should only be limited by their intrinsic skills and joys, not by any preconceived notion of what lawyers can and cannot do. Lawyers generally have a wide range of talents that businesses value. Each lawyer, however, has a subset of those skills that truly brings her joy. It is that subset, unique to every person, that will kickstart a truly successful, realistic and long-term career change. I knew that the article on leaving BigLaw had been published when I started getting emails from people I hadn’t heard from in years. Last fall, Law360 was kind enough to take an interest in my work counseling unhappy lawyers and in my magical transformation from disgruntled patent litigator to chipper business law professor. That transformation took a few years, but it taught me an enormous amount about how to handle a career change effectively. What struck me most, reading the article a few months after I had given the interview, was how much happier I am now than I was when I was a litigator. As a practicing lawyer, I was proud of my skills and, after several years of faking it, genuinely confident in my abilities in handling a case. I had learned to be a skilled adversary and a trusted advisor and all of the other stuff I thought I was supposed to be as a big firm litigator in order to justify my outrageous salary. Now, on my first day back on campus after the holiday break, I feel very differently about my work than I did as a lawyer. I’m eager to get back to being a professor, at least to the teaching part of it (the writing of articles is still something I struggle with). I look forward to meeting my students and helping them understand whatever we have to grapple with this semester. Although their tuition helps to pay my salary, I don’t feel the same kind of client-hired gun relationship with them that I had with the GCs (who were generally fabulous people) in my law firm life. When I can help my students understand something like negligence or contracts or how a patent works, we all feel good. We all feel accomplished. We help each other. In the process, I get to stride around and write on the board and show off my powerpoints (without reading from them, of course). We ask each other questions, and at some point, we get almost all of the answers right. In a nutshell, my work fits my joys. When the post-article emails from former colleagues started coming in, I thought back to how my life was when I worked alongside those attorneys, great as they are. That was a darker time, but possibly only for me. If my other colleagues were unhappy, they didn’t show it. Did I? I think a lot of lawyers hesitate to leave the law because they feel weird about their unhappiness. It’s kind of a lonely spot to be in, if you are surrounded by people who are getting on with their busy lives, paying mortgages and not worrying about airy-fairy things like happiness. It can also feel ridiculous to contemplate giving up a good job, if by “good” you measure in terms of income and social status. I understand that feeling very, very well. And I am here to say that it is absolutely possible to love your work if you find work that aligns well with the skills you most enjoy using. Happiness at work comes from (1) doing what you enjoy being good at (2) for and around people who value those skills. I help people figure out how to do this all the time. It’s not rocket science. It’s not even appellate work. That’s why I’m glad that this article focused on the possibility of change by highlighting examples of it, not only my own but also those of several other post-lawyers. I focused on telling the stories of thirty former lawyers in my own book, Life After Law, because there is something so powerful about recognizing yourself in another person’s history. The Law360 article also features the work of Casey Berman and Amy Impellizzeri, two writers and speakers whose work is tremendously helpful to lawyers considering a career change. We are three of many, many former lawyers who are genuinely, sustainably happy. Please join our ranks. Comments Off on How happy should you try to be? The most common mistake unhappy lawyers make is a fairly simple one to correct. One of my clients reminded me of this last week when we were talking for the first time. “I hate my law firm,” she told me, “so I’m thinking about what my options are. I’ve applied to the Department of Justice, three in-house jobs, and a smaller firm. I’m not sure I want to leave law, so I think that about covers it.” When I asked her what she likes about being a litigator, she didn’t hesitate. “Thinking on my feet,” she said, “counseling clients, researching and writing really complex briefs, and persuading a judge into seeing my side of things.” She added, “But I hate the partners at my firm.” Working in-house, I explained, would probably give her the chance to do only one of those things on a regular basis: counseling clients. Even then, many of those clients – really, the business people at her company – might not always take her advice willingly. The rest of what she loved about her current job would almost certainly be left behind. The question she had been asking herself was this: “Where else could I work with my JD and law firm experience?” That question had led her down a path that would probably lead to more dissatisfaction with her work, with the additional stress of having to prove herself with a whole new group of people. That isn’t rare. Unhappy lawyers often think in terms of traditional law placements, especially when they are not sure about making a transition out of law. The better questions, and the more productive ones, focuses on what brings them joy. What elements of your work make you feel satisfied, accomplished, skillful, and happy? What skills are you using in those moments? What other professions and workplaces value the skills you enjoy using – the ones you may well have years of experience putting into practice? Career satisfaction comes from using the skills you love around and for people who value those skills. As I explain in Life After Law, people who are drawn to law school often enjoy using one or more of a finite set of skills, including problem solving, project management, writing, counseling, helping others, and complex analysis. Many ex-lawyers have also become successful entrepreneurs and artists. Each chapter in the book summarizes the career transitions of at least a few different people who share each of those skills, underscoring the fact that there is so much more to choose from than the traditional options of in-house, government work, or another firm. You should never limit yourself to traditional law options, especially at the beginning of your career transition process. There’s more: there is no single best option for any one set of skills, or any one person. It’s a happily wide and diverse range of choices. My client and I, as it happens, enjoy many of the same things about litigation. I chose to use my love of thinking on my feet, research and writing instead to fuel my next career in academia. She may choose to become a solo practitioner, since she may be comfortable with developing her own book of business and either managing the minutiae of a service business or hiring someone to do that for her (as I wasn’t). Or she may do something completely different. I can’t wait to see what happens with her – and with you. Action plan time! It’s a new year, your bonus is in the bank (if you were lucky enough to get one), the distractions of the holidays are behind you, and you feel as unsure as ever about staying at your firm. What should you do? Even if you haven’t yet decided what to do next, or even whether you are definitely going to leave the law, you can and should start laying the foundation for a successful transition – just in case. Broaden your options, if you will. Let me suggest a two-part approach to preparing your exit strategy. In order to make a clean getaway, you need to prepare both your resume and your bank account. Your resume: If you’ve read Life After Law, you know I recommend figuring out the skills you like using, which may or may not be the same set of skills you use at work every day or get praised for. Once you know what you love being good at, you can start lining up examples of how you have used those skills. Those examples will help you rewrite your resume and talk your way through a winning interview with a nonlegal employer. While you are still at your firm, your goal should be to accumulate as many example of using those preferred skills as you can. You should use your employer as calculatingly and coldly as it uses you. Yes, of course, you have to do what your firm requires. You want to leave on your terms, not theirs. But when there is leeway, and there often is for those who ask for it, you may be able to find more opportunities to show off your preferred skills. Let’s say, for example, that you like counseling or advising, but you’re stuck in document review. Could you sit in on, or even help with, witness preparation for a deposition? If you can help counsel a deponent, you can add to your storehouse of experiences using a skill you enjoy. On a transitional resume, you wouldn’t describe it as “deposition prep.” You’d use words that a nonlawyer would understand, like “advising executives in preparation for interviews.” Your colleagues don’t need to know the real reason for your eagerness in seeking out new (and carefully chosen) professional experiences. Your bank account: One of the most common reasons to fear leaving the law is the potential, if temporary, loss of income. Set up a separate “escape fund” to accumulate funds for the swing period between jobs or careers. Having an account dedicated to your eventual transition may help you feel more secure about making this change. How and when you direct funds into that account is entirely up to you, but every little bit will make a difference. If you distract yourself by shopping online, as I used to do when I was unhappy at work, you might consider diverting the money you were planning to spend into your “escape fund.” Building that fund will do more for your long-term happiness than you might think. Bonus advice: this week, I had the pleasure of advising an unhappy junior associate on Slate, together with some of my favorite post-law counselors. I hope you find it useful too. If you used to work at a law firm, can I ask for five minutes of your time to take an anonymous survey? You’re probably reading Life After Law (the book and/or the blog) because you have left the law or are contemplating leaving. Reading about the former attorneys I’ve profiled, you can see that some attorneys leave the law altogether, while others seek different law firms, legal careers, or alternative ways to practice law. 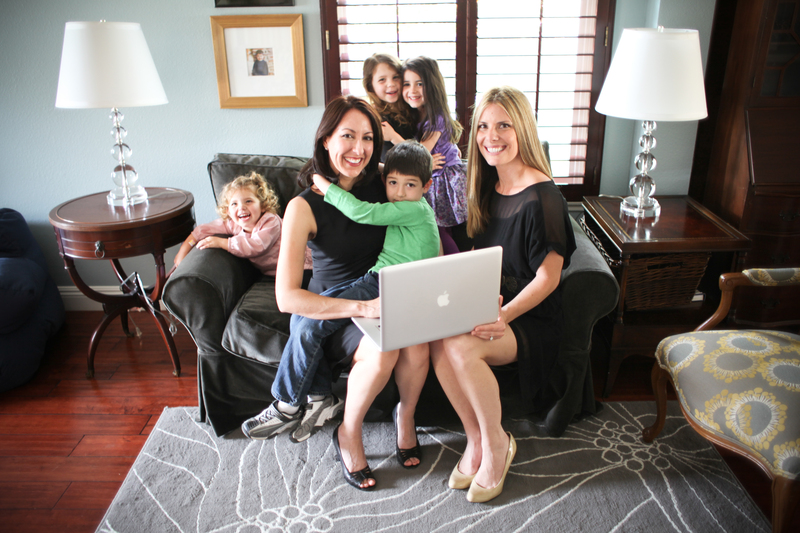 Laurie Rowen and Erin Giglia, the wonderful co-owners and founders of Montage Legal Group whom I profiled in Life After Law and who are pictured here, have talked to hundreds of attorneys looking for a way out of traditional law firm practice. In doing so, they became curious about not only why attorneys leave law firms, but about specifically what law firms can do to retain talented attorneys. Laurie and Erin, with their former colleague Kate Mangan, created a survey to find the answers to these questions by asking the attorneys who know best – those of you who have already left. The purpose of the survey is to collect information about what law firms can do to retain talented attorneys like you. Rather than talking to industry leaders or to attorneys remaining in law firms, they want to know what YOU think. If you have ever worked at a law firm and left due to dissatisfaction, or if you believe that your law firm missed an opportunity to retain you, please take a few minutes to take this survey. It takes about 5 minutes. Your response will be anonymous and confidential – you don’t have to use require your name or contact information. All responses will be compiled together and analyzed as a group. Your opinion matters, and we’d be very grateful for your help. There’s really no other way for Laurie and Erin to collect this kind of information from the ex-firm experts (that’s you). Think of taking the survey as a good deed, or a mitzvah, if you’re so inclined. If you have any questions, please contact Laurie and Erin at info@montagelegal.com.